Hammurabi or Moses—Who’s the Authority? The discovery of ancient law codes and historical records that precede Moses has opened a treasure trove of information about early civilization. But it also raises a question: whose account is most authoritative? The Babylonian King Hammurabi wrote a code of law that included many seemingly biblical ideas on morals, but his writing took place before Moses wrote the Bible’s first books. Does this mean the Bible borrowed its ideas from Hammurabi? According to secular historians and archaeologists, yes. Through television, movies, and magazines we are constantly presented with ancient legends and traditions about early man. Archaeological finds and passed-down myths present conflicting information about world origins, a worldwide flood, moral codes, and a myriad of other subjects relating to ancient peoples. These sources are often older than the Bible, and their antiquity seems to give them more credibility—and many people assume higher authority—than God’s Word. For example, many ancient legends describe creation and a major flood, predating Moses’s writing of Genesis. People then assume that Moses borrowed from Hammurabi, synchronized other legends, and put together his own more “civilized” version of ancient accounts. If this is the case, then the first books of the Bible are not original, thus lacking authenticity and authority. It is true that the writing of Genesis and the Law post-dates many ancient legends and other records of early history and law. But is this where ultimate authority lies: who first wrote down the words on a clay tablet? Or should the emphasis be upon the one who wrote the words and whether he is the final authority? In media, textbooks, and classrooms, God’s Word is constantly being set aside, undermined by the seemingly older, “more authentic” accounts of ancient times. From the world’s standpoint, since Moses wrote late, his account has no priority over the other writers. And we often sit there, believing that the secular accounts of history are closer to the original events, not realizing the Bible contradicts them. Just as secular scholars of the world have used science in an attempt to undermine the supernatural creation, they also use different accounts of world history to undermine the Bible’s authority. But we know what the world cannot understand: God is the true author of the Bible. He conceived the Bible before the world began (Psalm 119:89). His accuracy in revealing true history and morality was not dependent on the time when He gave the text. Yes, some of God’s chosen instruments for writing down Scripture, such as Moses, wrote after hundreds of other accounts; but God was there first, in the beginning (Genesis 1:1)! Moses was simply the hand that transcribed God’s words. Each letter came from the Creator Himself. Because God is the author, the Pentateuch and the rest of the Bible can be trusted as accurate. When there is a contradiction between the Bible and another historical record, the Bible always takes priority. This means that many other accounts—even if written down prior to the books of Moses—are distortions and counterfeits of the original truth which Adam, Noah, and their immediate descendants knew. Christians must remember that Satan, in his effort to become “like the Most High” (Isaiah 14:14), attempts to revise history through distortions. In doing so, he undermines the credibility of God’s Word: “Has God indeed said?” (Genesis 3:1). The myths and legends may contain pieces of the truth because they are perversions of the original. When there is a contradiction between the Bible and another historical record, the Bible always takes priority because it contains ultimate truth from the God who was there. When you watch a TV show or read a magazine, remember to keep your priorities straight. Teach your family about the rock-solid reliability of God’s Word so that they have a proper perspective and are ready for each assault. Subtle distortions and counterfeits are dangerous and ever-present, so we must always stand firm on the Bible alone. God has the final authority in all questions of “sequence and time”; we must trust His infallible Word. Read Isaiah 48:3, 48:12–13, and 48:16. 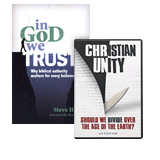 If you truly believe the Bible is God’s Word, can you give equal authority to any other source? Read Genesis 11:1–9. How could the tower of Babel, the introduction of languages, and the scattering of the nations help explain the large number of creation and flood myths around the world? What other ways could Satan have distorted the true historical account? Read Isaiah 14:14 and 2 Corinthians 11:14. How does anti- in antichrist show that Satan wants to be like God but counterfeits what God is, does, and desires? If God created all things, what does Satan use to tempt us (see James 1:14)? Why is it important to embrace the all-encompassing extent of God’s work in creation? See John 1:3 and Colossians 1:16. Did Jesus see Moses as writing things he simply stole or borrowed from other cultures (Luke 16:31)? 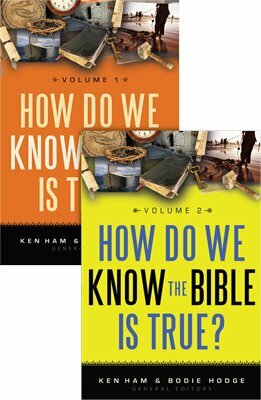 What are the dangers of presuming that ancient legends, writings, and religions predate the truth given in God’s Word? What is the effect on history, on truth itself, and on the purity of our faith? In contrast to the above question, if God was first, created all things, and accurately revealed truth to the writers of Scripture, how should these truths influence your response to secular renditions of early history, whether in books or on TV? Don Landis is pastor of Community Bible Church in Jackson, Wyoming. He is founder and president of Jackson Hole Bible College (jhbc.edu), a one-year intensive study course with a special emphasis on creation for young adults. 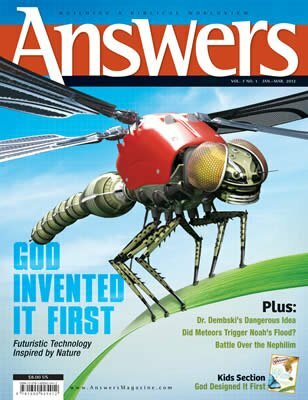 Don is also the founding chairman of the board for Answers in Genesis–USA. Biblical Authority Discussion Questions: Hammurabi or Moses?